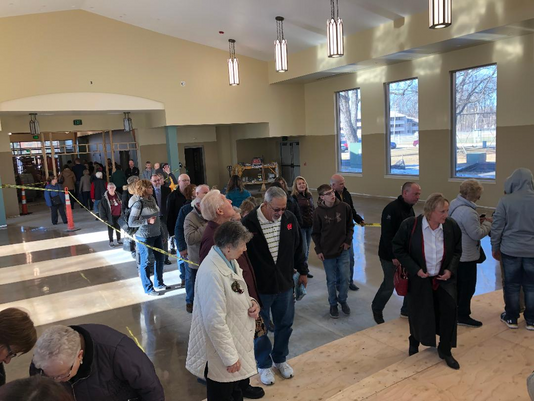 OCONTO – Hundreds of Holy Trinity parishioners took the opportunity to sign the sanctuary subfloor during tours of the nearly-completed church last month. Though their names will soon be covered by the finish flooring, it was “just a way to leave their mark on our little piece of history,” said Danielle Perrizo, a member of the church’s finance council. The crowd – visiting after Mass on Dec. 15 and 16 – was generally impressed by the new church, which has been under construction since spring.